New Singles. 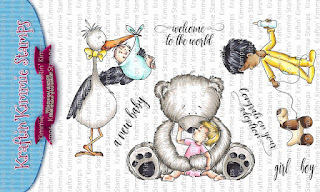 . . . .
New singles and digital stamps are NOW available. 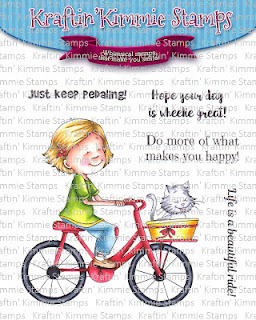 Great little images that will be sure to make someone special smile. No Talking in Class, is just one of those images. Wow. I remember having to do this once or twice. Did you? 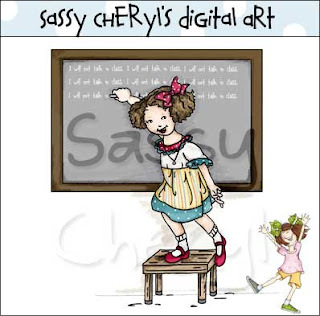 Actually, I remember drawing a circle on the chalkboard and having to put my nose in it. I blame my allergies on that mean Ms. Whitmore to this day. I never did like that woman!!!! And. . .Speak no Evil, oh, if we could only do that! It doesn't hurt to try. 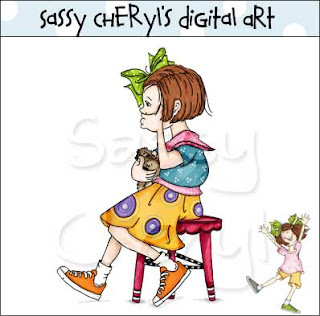 Both of these images are available at Sassy Cheryl's as a Digital Single and as a Digital Stamp.